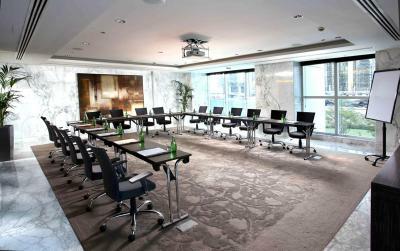 Lock in a great price for Bonnington Jumeirah Lakes Towers – rated 8.3 by recent guests! the hotel was very near to venue where I attend my meeting. The location, the staff, McGettigan's (you can drink a good 🍺), the room, the cleanliness, close to the metro station, good area. I was upgraded on arrival, second stay at the bonnington and I will be back. 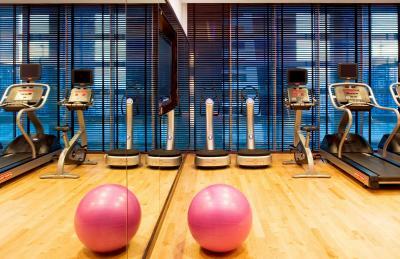 Bonnington Jumeirah Lakes Towers This rating is a reflection of how the property compares to the industry standard when it comes to price, facilities and services available. It's based on a self-evaluation by the property. Use this rating to help choose your stay! 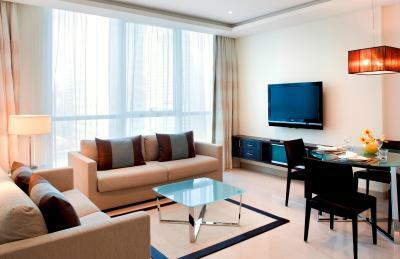 Rooms at the Bonnington Jumeirah include flat-screen TVs with interactive satellite TV system. The spacious bathrooms come with rain showers. In-room tea-and-coffee-making facilities are provided. 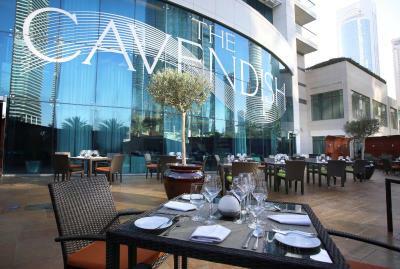 The Cavendish Restaurant offers a fusion of British-European classical dishes with exotic elements of the Middle East. 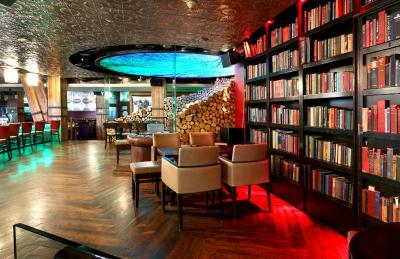 Guests can enjoy beverages and snacks at The Authors' Lounge or have a glass of wine or a cocktail at Healeys Bar & Terrace. 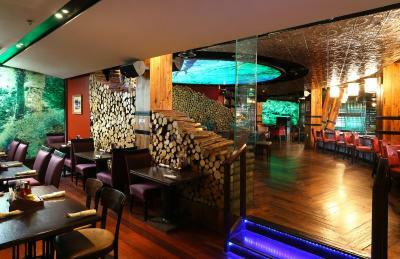 McGettigan’s Irish Bar offers Irish breakfasts, beers and other Irish refreshments. 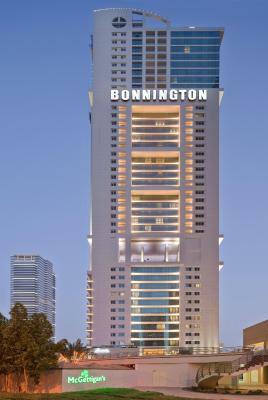 Bonnington Jumeirah Lakes Towers is located only 5 minutes’ walk from the Jumeirah Lake Towers Metro Station and the Dubai Marina Shopping Mall. Abu Dhabi Airport is a 40-minute drive away and Dubai International Airport is 25 minutes away by car. 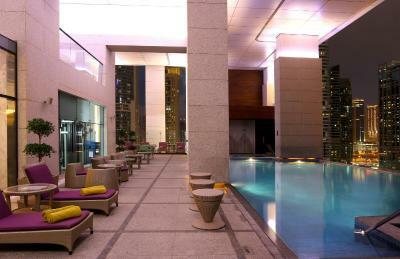 Nearby recreational activities include beaches (free shuttle transfers to JBR Beach), golf, tennis, and indoor skiing. 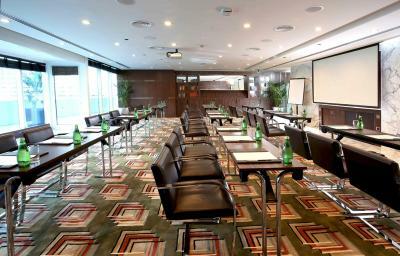 When would you like to stay at Bonnington Jumeirah Lakes Towers? - Almost all units come with a terrace or balcony. Includes a spacious private bathroom with double vanity, separate rainfall shower, toilet and bidet. The Deluxe Suites offers a separate lounge area with comfortable sofas and work desk and 2 large flat-screen TVs with interactive satellite TV system, a bedside room control console, as well as a MediaHub™ entertainment connectivity panel, which allows guests to connect their laptop, PDA or MP3 player directly to the television in the room. 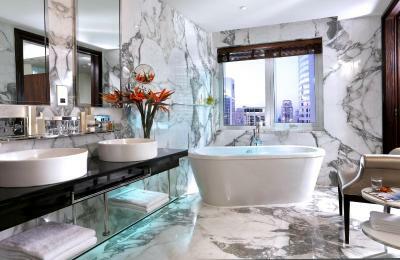 The private bathroom with double vanity and rainfall shower. 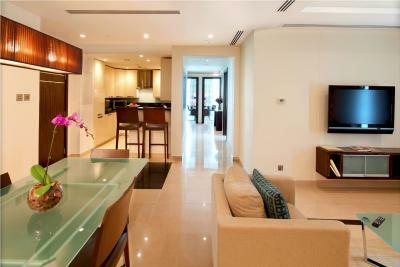 Spacious apartment with panoramic views of Jumeirah Lakes. Includes a fully equipped kitchen with a dishwasher and laundry facilities. 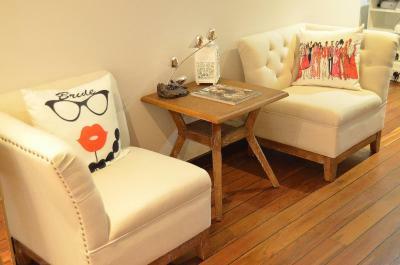 This spacious and air-conditioned apartment has a sitting area with a flat-screen cable TV and sofas. The private bathroom includes double vanities, a separate rainfall shower and a bidet. - Complimentary one-way airport shuttle service (pick up or drop off). 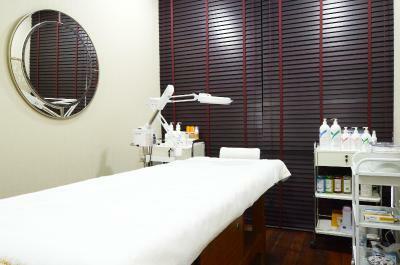 This spacious and air-conditioned room has a sitting area with a flat-screen cable TV. 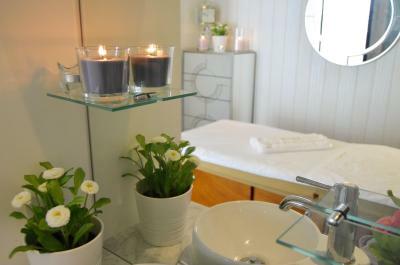 The room also features a minibar and a bathroom with a rainfall shower and free toiletries. 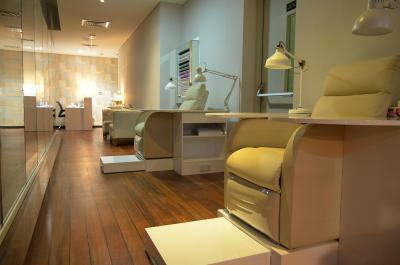 This spacious and air-conditioned room has a seating area with flat-screen cable TV. 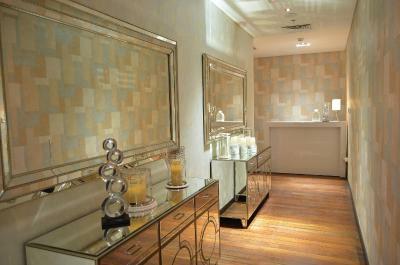 The room also features a mini-bar and a bathroom with rainfall shower and free toiletries. 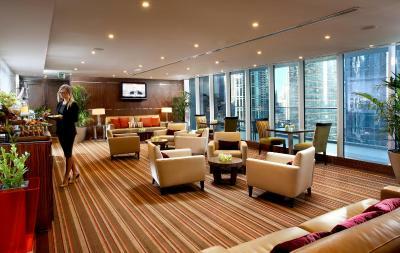 The Bonnington Jumeirah Lakes Towers has seen many firsts since it opened its doors in 2010. 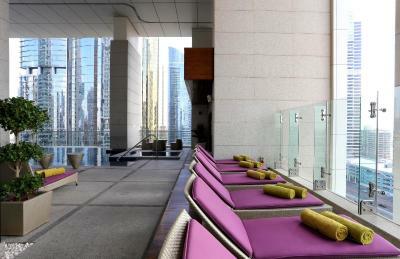 It was the first full-service, fully licensed, luxury hotel in the Jumeirah Lakes Towers neighbourhood and it was also the first European family-owned hotel in Dubai. We're not the biggest hotel in the city, but we're aiming to be the friendliest and most accessible. 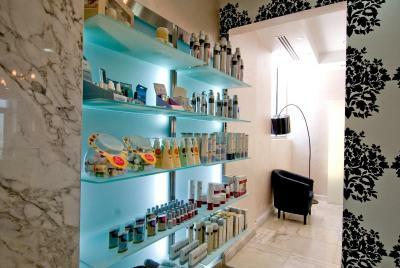 Our tower is easy to navigate and features just the right amount of facilities. Add to that our central location and public transport connectivity and you're assured a great stay. 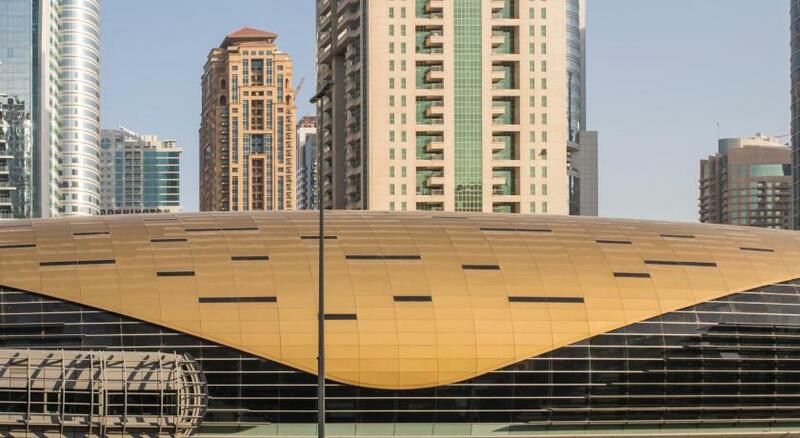 We're also one of the greenest hotels in Dubai with solar panels covering our roof and generating most of the electricity required to heat and cool our water. Hotel surroundings – This neighborhood is a great choice for travelers interested in food, restaurants and beaches – Check location Great location - show map Guests loved walking around the neighborhood! 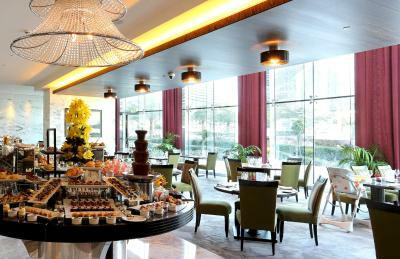 House Rules Bonnington Jumeirah Lakes Towers takes special requests – add in the next step! Bonnington Jumeirah Lakes Towers accepts these cards and reserves the right to temporarily hold an amount prior to arrival. The location of the hotel was not as close to JBR as it seemed on the map, it was a 10 min taxi, and a 50 minute walk, so keep that in mind - although that wasn't a huge issue for us, it may be for others. The sauna and steam room felt like they were just there to add value to the price, if you cannot do them right then you shouldn't. The pool closes at 11pm, felt unnecessary as it would be nice to be open till late especially as there is a bar and nice seating there. 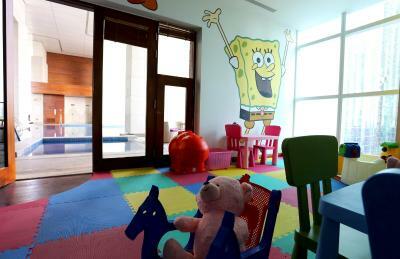 The rooms were really great and modern, very good quality and a nice decor. Plenty of storage space and air conditioning. The bathroom was really nice, typical nice hotel bathroom. Would definitely recommend, especially for the price! Unfortunately, non-dairy milk was not consistently available at coffee locations and breakfast. 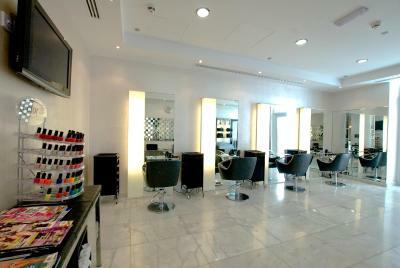 But otherwise the staff were very gracious and helpful. Location . Value. Weekend entertainment options in and around the building in other buildings. Convenient Spinneys for minor shopping items. - It was such a shame that Healey's Bar was a smoking area, especially as smokers were also welcome in McGettigans (the outdoor bar). We took one look at Healey's and walked out because of the lingering fug of cigarette smoke, even when it was empty. That was a big fat negative for us. 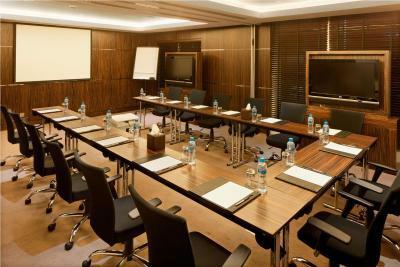 - We weren't keen on the big heavy desk which dominated the lounge area in our room. It was useful and we did get accustomed to it but something more discreet would have been more in keeping with the room and our holiday vibe. Breakfast was excellent. Lots of choice of hot and cold including cooking station for freshly-cooked eggs. Don't be worried you'll miss your 'proper' bacon and sausages as there's also a pork station. Steak nights - great value for money. Authors Lounge was lovely and peaceful, Ideal for a quiet chill with coffee and cake, or a lovely rustic sandwich. Our suite had plenty of space and a huge bathroom. Service throughout was excellent, and we must give a special shout-out to Mahmoud in the restaurant and Rose-Anne in Author's Bar. 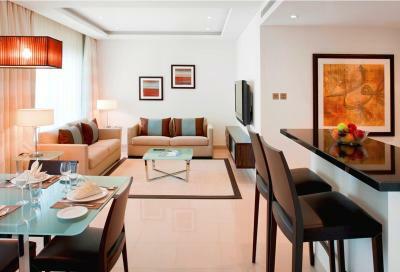 The location was perfect - a few minutes walk to the Metro and tram station, and walking distance to the Marina Mall, the Marina and Jumeirah Beach. This was a return visit to an excellent hotel with great facilities e.g. 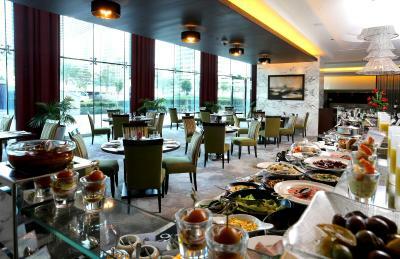 restaurants, sports bar, spa & leisure facilities. The staff are excellent too. About 10 minute taxi ride to beach & about 5 minute walk to nearest metro station. 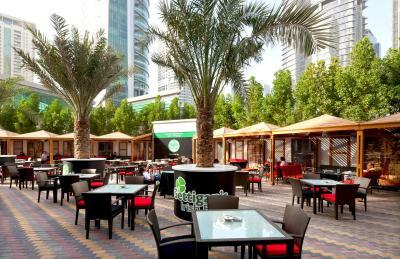 Also lots of lovely international restaurants & cafes within walking distance. We went for an escape from work for a weekend, it's right next to the Irish pub so was great. Close to food outlets too. Good area, would go again. They should cater to regular guests needs (upper story room request for example), room cleanliness was way below standards. Prices were too high compared to what it offered.. Location Beds and pillows are so comfortable. Room is quiet and clean. For me personally, there isn't anything to dislike. It is central to where I needed to be for the weekend. Good taxi service which is always important in Dubai and lots of eateries around. McGettigan's is literally a 2 minute walk away.